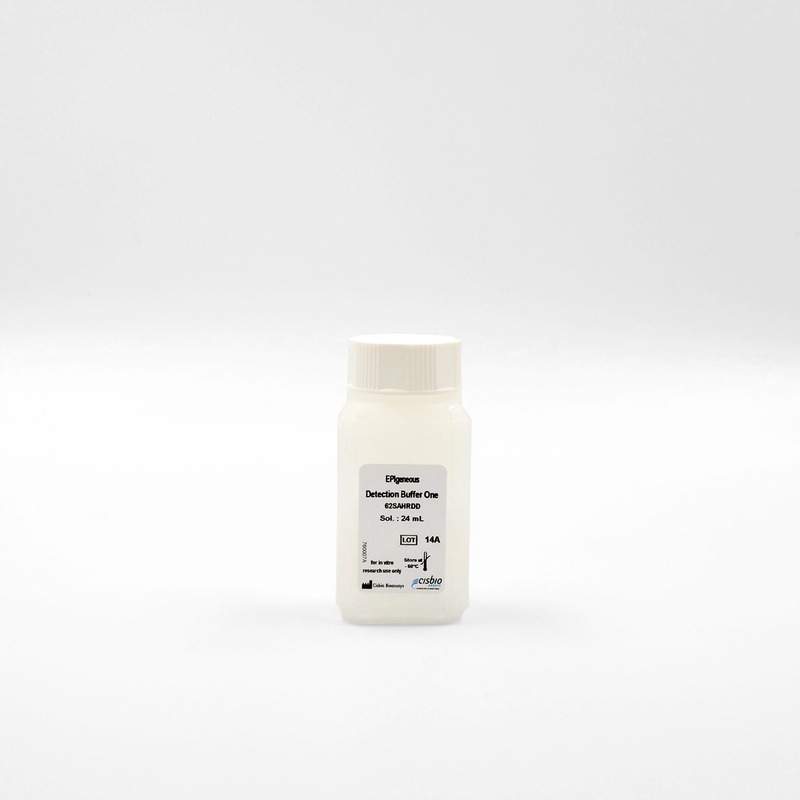 This buffer is a component of the methyltransferase kit used for optimizing the enzymatic reaction. It can be ordered as a spare part. Buffer conditions are essential for the quantification of S-adenosylhomocysteine detection (SAH). EPIgeneous detection buffer one has been carefully optimized to allow a highly sensitive detection of SAH, as an indicator of methyltransferase enzymatic activity.